As my colleague James Johnson here at Medacity has written about a few times here, Hulu is apparently up for sale to any company dumb enough to fork over the money, and lots of it, only to quite possibly end up with nothing more than a great big headache and useless content. Currently there supposedly four companies, who need their collective heads read, going toe to toe in the bidding to buy this illusionary gem of online video streaming. These are: Amazon, Dish Network, Yahoo, and possibly Google as well, with a current bid sitting somewhere between $1.5 and $2 billion, with Google willing to pay billions more if certain conditions are met as terms of the sale. Before we get to why this Hulu deal could end up being nothing more than a big dollar shell game of vanishing content we need to realize just who are the main players behind Hulu. NBCUniversal – in other words Comcast even though as part of the agreement to buy NBCUniversal had to take a hands off stance when it comes to Hulu. The fact that three of the biggest entertainment conglomerates came together in the first place raised more than a few eyebrows and pontification from pundits that this was a sign that old media was starting to get it, when in fact all they had done was put a new shade of lipstick on their old media pig. No sooner had Hulu launched than we were faced with the typical forced geotarding of content so that Hulu was only available in the US and later Japan. Back in 2009 there were great howls of joy when Hulu announced that they would be launching in the U.K. and Ireland any day, we’re still waiting with no sign of a launch there or anywhere else. This means it will be up to the new owner to expand internationally internationally, the idea being that the expense and headache of dealing for foreign streaming rights would be in the lap of the new owners. One of the more interesting thins about this sale is that Hulu is making money as Hulu CEO Jason Kilar noted back in 2010. While a $100 million isn’t earth shattering it isn’t anything to sneeze at either especially considering the short time that Hulu has been in business. So why sell it, especially since it would seem that these entertainment conglomerates appear to have stumbled on a working model that could be a real online entertainment game changer. It all boils down to money. What they are making right now as partners in Hulu is a pittance compared to the money they can make charging for streaming rights to their content; and this is where the mug’s game begins. We have already seen what the future holds for anyone buying Hulu with Fox’s latest moves to limit access to their content on Hulu. It started first with Fox changing access to their show from the next day availability to a seven delay. This meant that unlike you being able to watch you favorite show’s newest episode the day after it originally aired on television you would have to wait a week to watch. Then Fox announced that people using Hulu, free or subscribed, would have to authenticate whether they subscribed to a paid cable or satellite provider that carried the Fox shows. If you weren’t you’d have to wait a week to be able to see the shows. 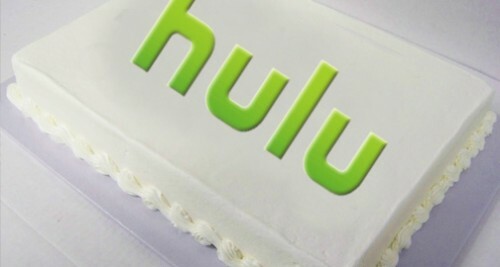 This is the type of actions that await any new owner of Hulu and while there would be a definite 2-year guarantee of exclusive content that would be built into any sale agreement, those agreements will run out, at which point the previous owners would once again be in the driver’s seat when it comes to negotiating new streaming contracts. You can be assured that they’ll have no compunctions against charging through the nose for those rights. We have already seen this happen with the recent Netflix and Starz negotiations with Netflix walking away from the table because of what it saw as onerous terms by Starz for their streaming rights. Make no mistake this is the same future that Hulu faces but one that apparently Google is smart enough to realize given the conditions of their rumored bid for the company. According to Peter Kafka at All ThingsD the speculation is that Google will pay billions more if the current owners of Hulu agree to provide more content and for a longer period of time, but the counter offer from Google isn’t sitting too well with the current owners. Well color me surprised. Of course they don’t want that type of deal and especially with Google, who is the enemy for many of the companies, as Hulu was originally created by them as a competitor to Google’s YouTube. Anyway you look at this the whole idea of selling Hulu, or not selling, is a win-win for the company’s current owners. Sell it and make even more money down the road from streaming rights or keep it and let it keep making money, as long as they can keep their internal bickering in check. For the buyer it really is a lose-lose proposition. Sure you get a company, which you will have had to pay above premium to get, that is making money in the short term but you are at some point going to be held hostage for a king’s ransom in order to keep. or get new content. I just don’t see how this is going to be a good deal for any company.Period.